40 miles from Naples, FL and 80 miles from Miami, FL are the 10,000 Islands and the Everglades National Park, a maze of mangrove islands where Florida's freshwater flows into the Gulf of Mexico. The Everglades is the third largest wilderness area in the United States and is open year round to anglers of all abilities. This area benefits highly in the windy winter where you are able escape the wind behind the thousands of islands in protected bays and coves. Long casts are not as necessary here due to the tannic waters, which makes it very possible to approach fish within close range. There are many ways to fish the Everglades. 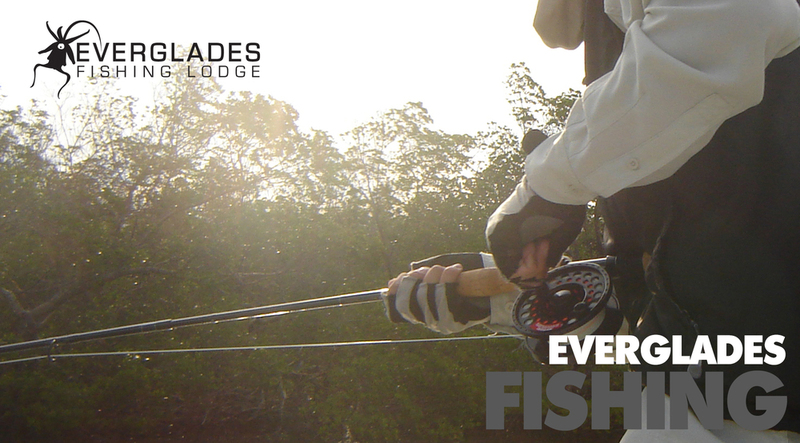 Most of our guests come with the goal of sight fishing a big Everglades tarpon, snook, and/or redfish with a fly rod. There are few more exciting experiences in the outdoors than watching a 100+ pound Everglades tarpon come flying out of the water with your fly in its mouth, or a big Everglades snook smashing a surface fly, or a school of Everglades redfish tailing down the shoreline in your direction. Fly fishing the Everglades should be on everyone's bucket list. If fly fishing isn't your thing, the Everglades has some incredible conventional tackle opportunities. Tarpon, snook, and redfish, as well as a variety of other species can be targeted with spinning and bait casting gear using artificial lures and/or bait with high success. Our guides are full time, career, local Everglades fishing guides with at least 10 years of guiding experience. All guides are USCG licensed and insured.